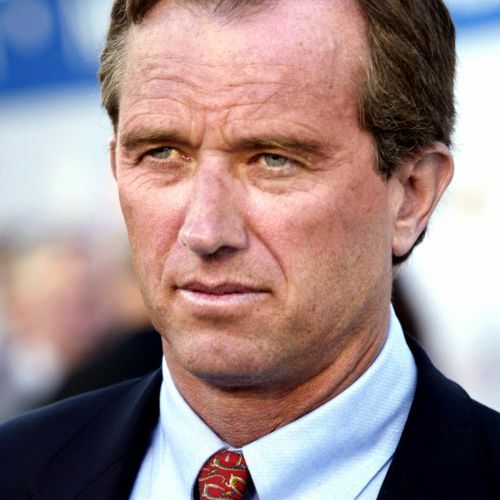 Robert F. Kennedy Jr.’s reputation as a resolute defender of the environment stems from a litany of successful legal actions. Mr. Kennedy was named one of Time magazine’s “Heroes for the Planet” for his success in helping Riverkeeper lead the fight to restore the Hudson River. The group’s achievement helped spawn more than 160 Waterkeeper organizations across the globe. Mr. Kennedy serves as senior attorney for the Natural Resources Defense Council, chief prosecuting attorney for the Hudson Riverkeeper and president of Waterkeeper Alliance. He is also a clinical professor and supervising attorney at Pace University School of Law’s Environmental Litigation Clinic and is co-host of Ring of Fire on Air America Radio. Earlier in his career, he served as assistant district attorney in New York City. He has worked on environmental issues across the Americas, and has assisted several indigenous tribes in Latin America and Canada in successfully negotiating treaties protecting traditional homelands. He is credited with leading the fight to protect New York City’s water supply. The New York City watershed agreement, which he negotiated on behalf of environmentalists and New York City watershed consumers, is regarded as an international model in stakeholder consensus negotiations and sustainable development. He also helped lead the fight to turn back the anti-environmental legislation during the 104th Congress. Among Mr. Kennedy’s published books are the New York Times bestseller Crimes Against Nature (2004); The Riverkeepers (1997); and Judge Frank M. Johnson Jr: A Biography (1977). His articles have appeared in the New York Times, the Washington Post, the Los Angeles Times, the Wall Street Journal, Newsweek, Rolling Stone, Atlantic Monthly, Esquire, The Nation, Outside magazine, the Village Voice, and many other publications. His award-winning articles have been included in anthologies of America’s best crime writing, best political writing and best science writing. Mr. Kennedy is a graduate of Harvard University. He studied at the London School of Economics and received his law degree from the University of Virginia Law School. Following graduation, he attended Pace University School of Law, where he was awarded a master’s degree in environmental law.